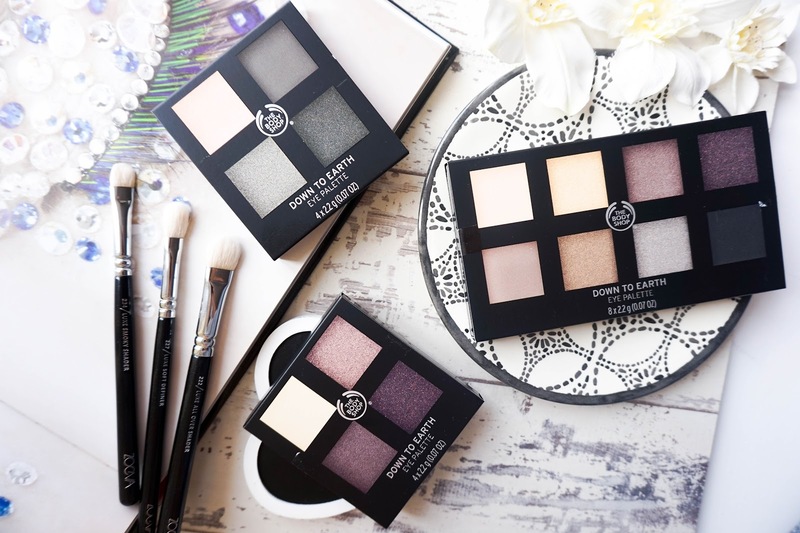 If you've been reading my blog for some time you will know that I've featured The Body Shop as a brand so many times in my posts, simply because it's a brand that I've always supported & enjoyed using. Their body care products are always impressive and when it comes to skincare their Vitamin E range has always worked for my dry skin. 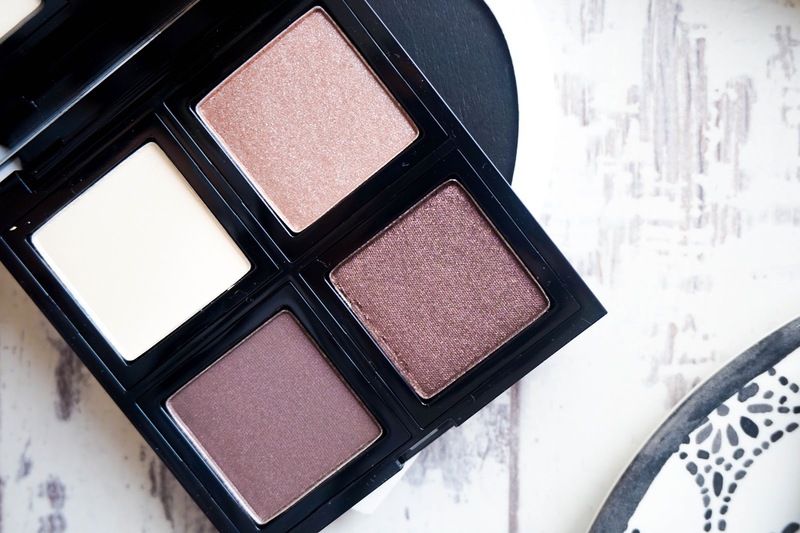 When it comes to their makeup range however, I've only tried a couple of products, but of course always eager to experiment with more. 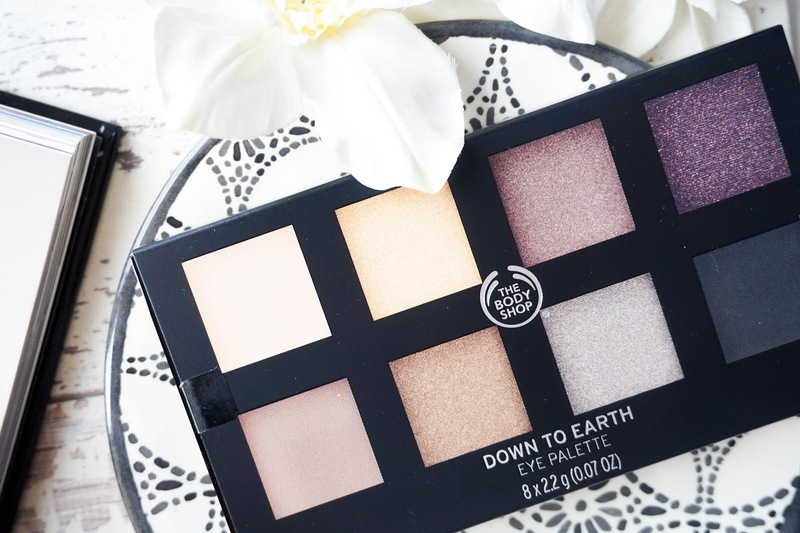 So it was perfect timing to do just that when I spotted that the new Down To Earth Eyeshadow Palettes* were being released. In total there's six new palettes to choose from, 5 of them are quads and the other option is the bigger palette with 8 different shades. 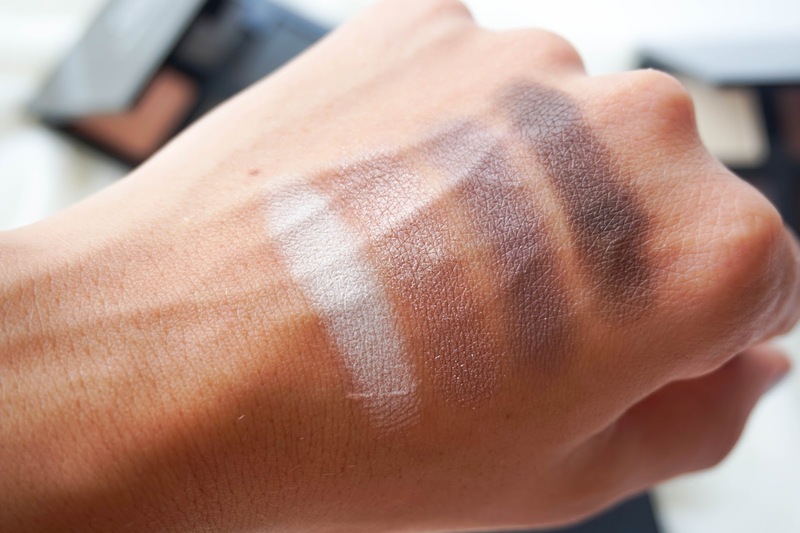 I really think with the shade selection available there is bound to be at least one palette that you would be interested in. 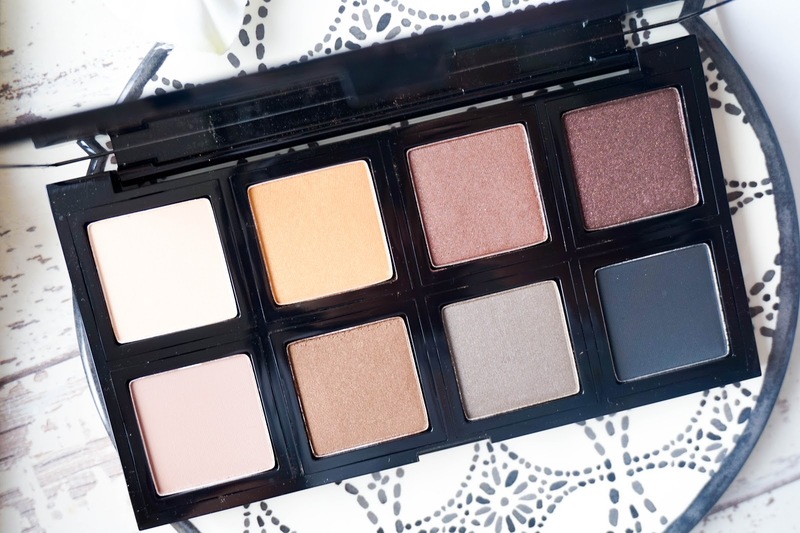 Personally I was sent two of the eyeshadow quads, the Smoky Plum & Smoky Grey options along with the bigger Glow Palette... so I had a fantastic selection of shades available that I could experiment with. 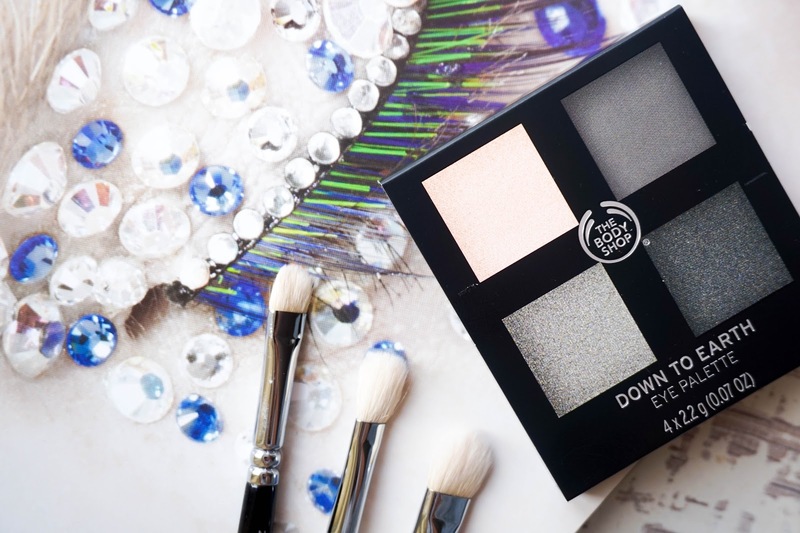 The new range has been created to make sure that anyone (despite the shape of their eyes) can be creative with their eye looks and create smokey eyes in just a few simple steps. 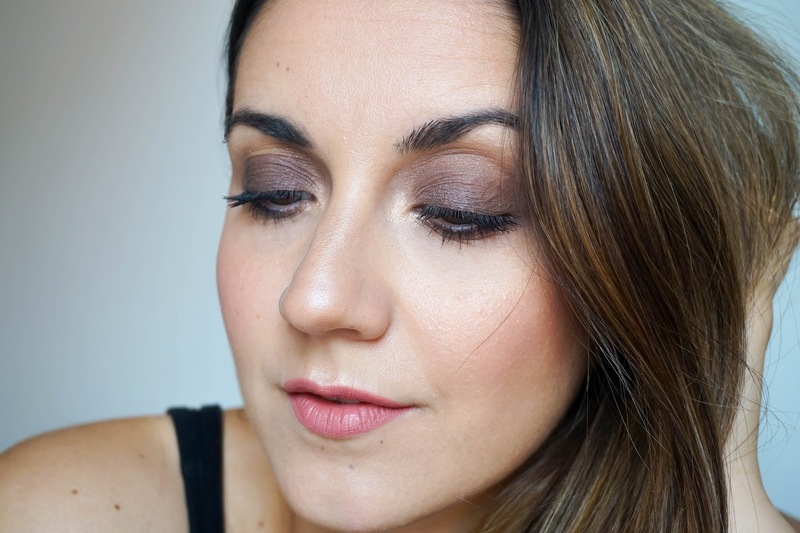 What I love most is that this range uses Community Trade macula, babassu and sesame oils, not to mention that it's inspired by Earth's richest & most natural colours. Oh and did I mention it's also 100%vegan and cruelty free?! Overall it's a range that was created with a lot of good thoughts behind it and it will be suitable for so many different personal preferences. Now onto the packaging and design of the palettes, which I have to say looks stylish & sleek. The black, shiny casing is plastic and feels quite sturdy... plus there's also a built in mirror available for each palette. What I really like about this design is that you're able to actually pop out the square shades using a "click in and click out" method, so you can mix and match different shades between the palettes depending on your top favourites. The shades themselves are all buttery and soft to the touch, not to mention that they are quite pigmented with great colour payoff. The only bad side is that I did experience a bit of fallout with certain shades (mostly the shades with a lot of sparkle to them). 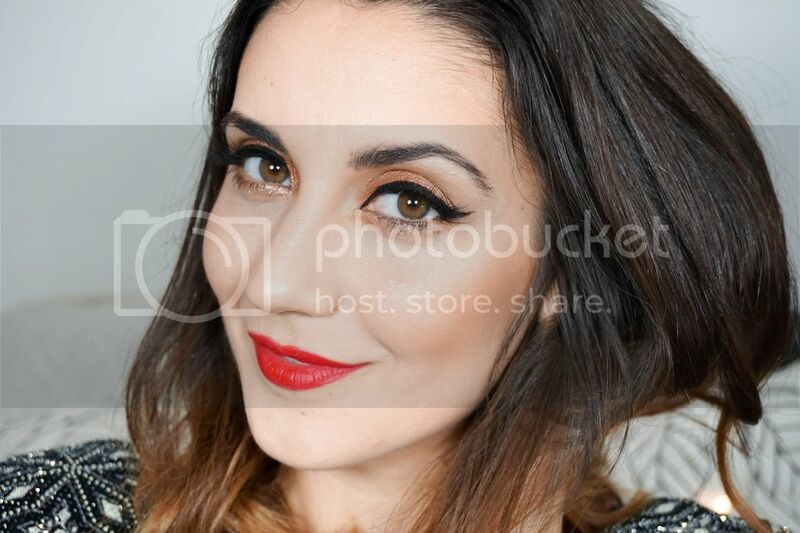 Other than that they all blend out beautifully and they're quite long lasting too, even without an eye primer. Another fantastic release from The Body Shop and one that I was happy to have been able to try out for myself. 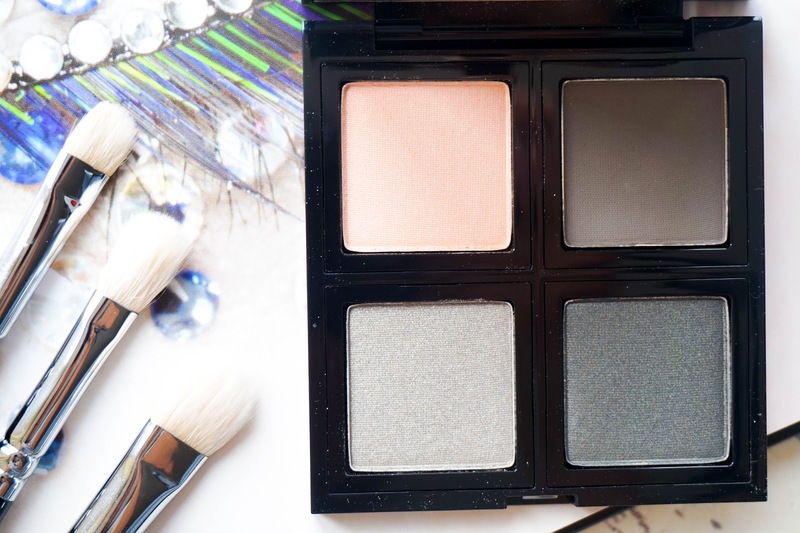 If you love neutral shades at affordable prices, then these new palettes are worth checking out. 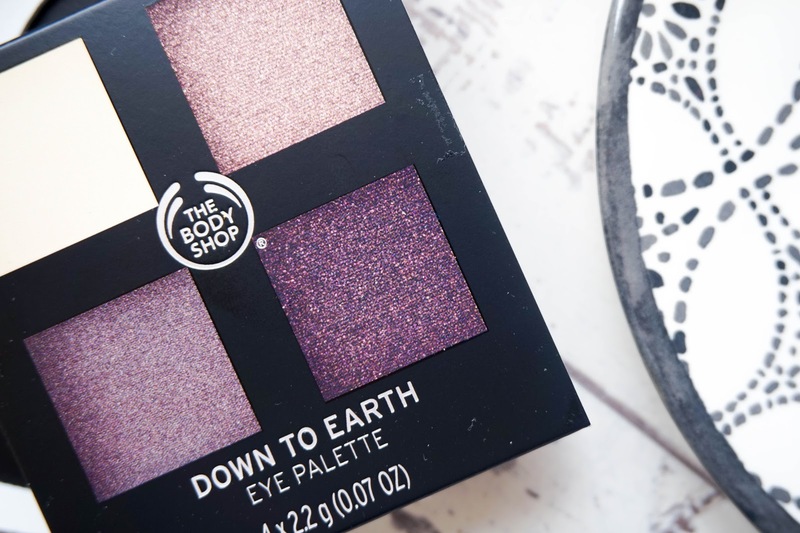 Have you tried these new eyeshadow releases yet? What are your thoughts on them? 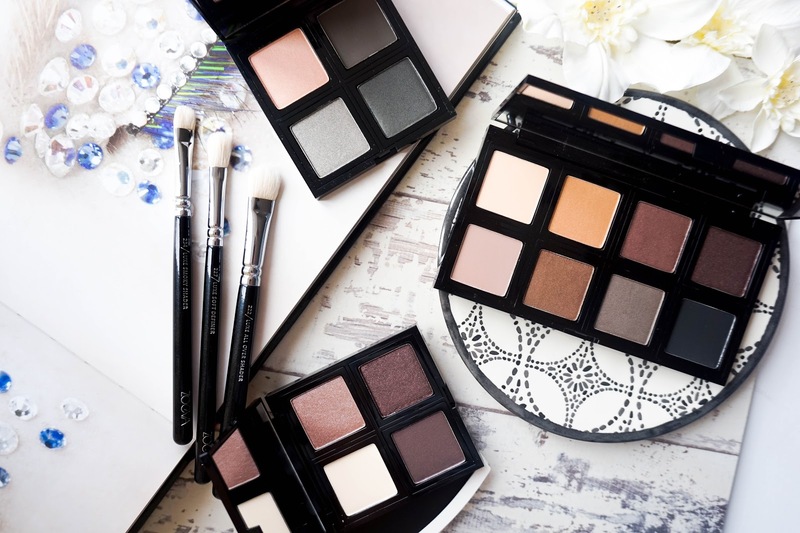 Ooh so glad you loved these too, I am beyond obsessed with these palettes, the formulations are perfection!